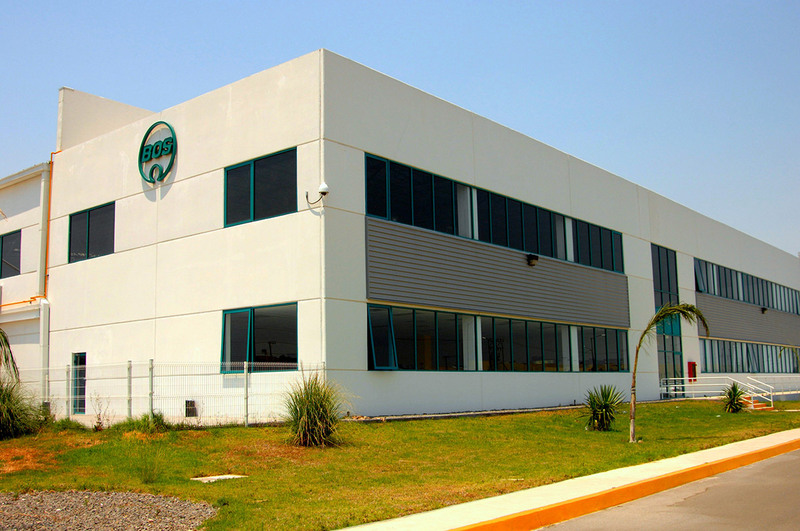 The BOS Group building is a build-to-suit industrial project in the Castro del Río Industrial Park, located in Irapuato, Guanajuato, Mexico. The building layout was designed in response to specific requirements of BOS’ production process. The two-story building features an attractive windowed façade with atrium lobby entrance.